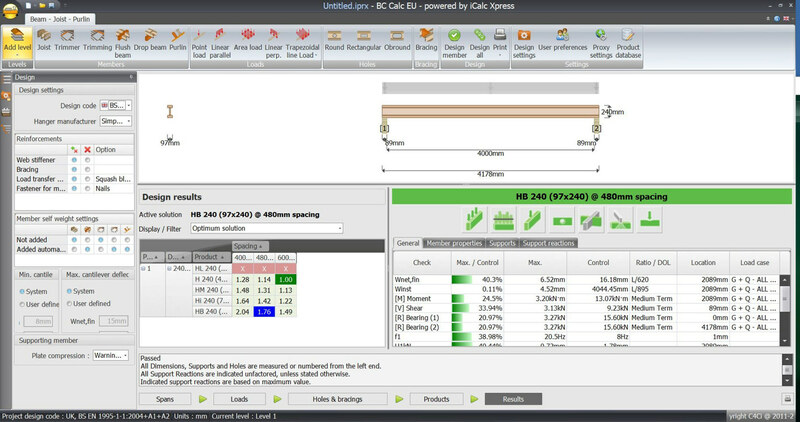 This stand-alone software can assist with the engineering and sizing of individual Engineered Wood Products provided by Södra Wood Ltd in Great Britain and Ireland. The software is compliant with BS5268-2 and BSEN1995-1-1 design codes and can handle the design of I-Joists, LVL, Glulam and softwood products in floor, roof and beam applications. A clear file structure allows multiple calculations from the same project to be quickly and easily generated and stored, together with full calculations output for checking or submission to clients. The image above is an example screen grab from the design software. This software is available free of charge, to obtain yours please complete the application form below. You will receive an email with a software download link and activation key usually within one business day. Should you experience any issues while completing this form, or using the software, please do not hesitate to contact us. Please note that the completion of the form below does not automatically opt you in to receive correspondence from us and we will not share your information with any third parties.